CMT To Film Epic "CMT Crossroads" In Downtown Nashville on June 6th! 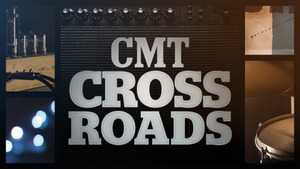 CMT is putting on its first open air Crossroads and doing so with tremendous flare! It was peviosuly rumored that Lady Antebellum would team up with Earth, Wind, and Fire for a CMT Crossroads filming to take place during the CMA Music Festival, but we did not expect this! In addition to Lady A and Earth, Wind, and Fire, Dan + Shay, Darius Rucker, Drake White, Martina McBride, Rascal Flatts, and Sara Evans have joined the lineup! Fans are welcome to attend the taping on Tuesday, June 6, on the corner of 5th and Demonbreun. The taping begins at 8:30pm CT, but fans should plan to come early as early as possible to secure a spot. Fans disappointed by Music City Gives Back being shifted to Monday should be in their glory as this event practically takes it place.